It pays to be a Charis babe!!! I brought home 1 lifetime's worth of products from their Beautiful Journey in Seoul last September. To be more exact, I brought home stuff from like 20+ brands, plenty of the brands sponsoring whole collections and product lines, which is why I really mean 1 lifetime's worth of items hahaha. Tomorrow a new batch of influencers will be going to Korea to have their own priceless experiences and bring home probably even more items this time around. To join in on the fun, here I am starting off with my stream of Charis related posts. Expect the trend for 2017. So yeah... when I got back from the trip in September, I wasn't able to talk about the items immediately due to the existing backlogs I had (which still persist till now ahuhu). I am fixing that now, actually, by saying no to new projects so I can focus on the more important things like this. 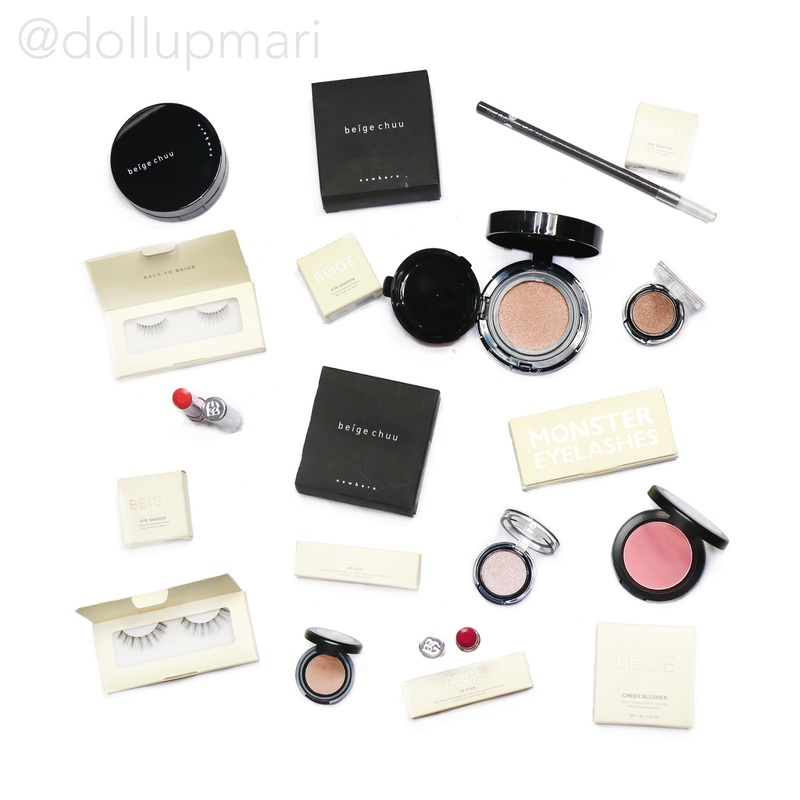 I thought I'd start off with introductions here on the blog through posts like these because if I wait to make each product a review it'll take forever to introduce everything. 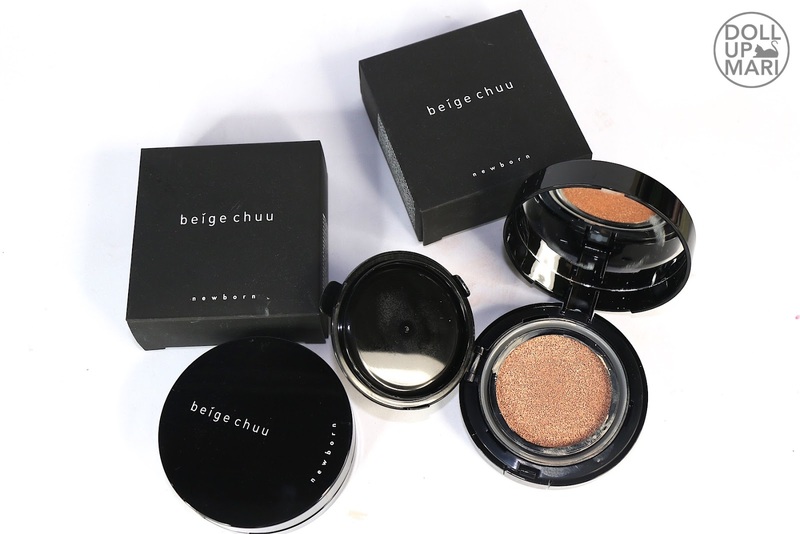 This is Beige Chuu, the makeup brand under Chuu, an umbrella lifestyle brand comprising clothing, lingerie, and makeup. One of the things we did was to go to their flagship store. I was able to meet the image models, explore the whoooole building they have in HongDae, and basically soak up some youthful vibes because I may be 22 but I'm already like a granny already with how haggard I am. Hahahaha.. So yeah let's get started!!! 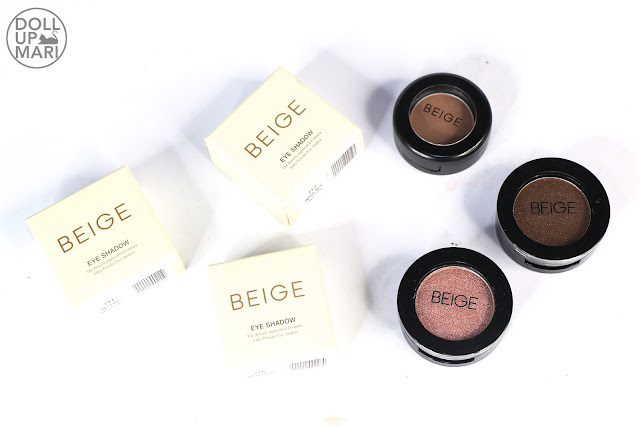 I received three eyeshadow singles from them. Contrary to the usual image we have of Korean eyeshadows (which are often pale and chunky), these are smooth, buttery, and pigmented. From top to bottom, they're 226-Cracky Brown (matte yellowish taupe), 211-Mag Brown (glittery bronze), and 212-Cape Pink (glittery cool rose gold). I brought home 1 cushion from Beige Chuu, the yellow one if I remember correctly. Then I requested another one. So I have yellow and pink now. These are not correctors, so the pink and yellow shades just refer to undertones. I have already used this several times and I'm sooo enamored with how this works. This gives such a pretty glow, and if you're all about the dewy Korean look this is the go-to product. This product's special ability is combatting "DO" or "Dehydrated Oily" skin, so it makes the skin moist but doesn't weigh it down with oiliness. Personally, I can attest to this, because I can use this the whole day and not feel icky even after so many hours. I also have three pairs of Chuu eyelashes!!! I haven't tried these yet, but I think these will come in handy in a lot of people's kits because they are surprisingly with short widths. I like how they already created lashes that are shorter in width because most Asians will trim eyelashes before using them anyways. It's always so hard to trim off the lashes because you'd feel so bad for trimming the excess hairs. I like how they spared us all the heartache. 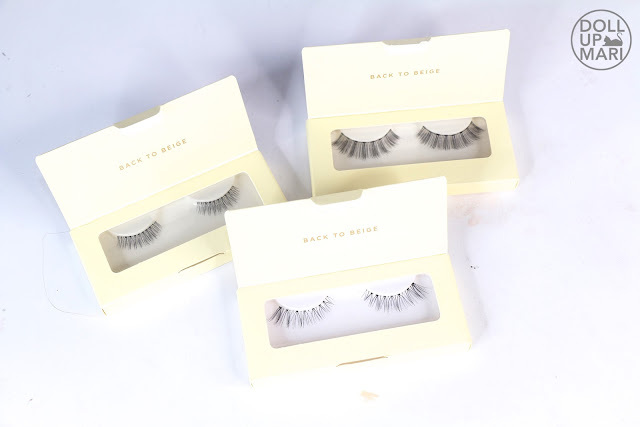 To add, the lashes have shorter hairs than most lashes nowadays, which I think will come in useful for those who want to use falsies to just enhance what they have instead of making things too dramatic. This'll also help those with very thick and long lashes who need just a little more push. They may be pricey at $8 per pair, but we shall see if they're durable. These have transparent bands and come with very natural looking hairs. Clockwise from top, we have 902-Sulley, 903-Celia, and 906-Roz. I'm so excited to use Celia because I think it'll suit me the best. 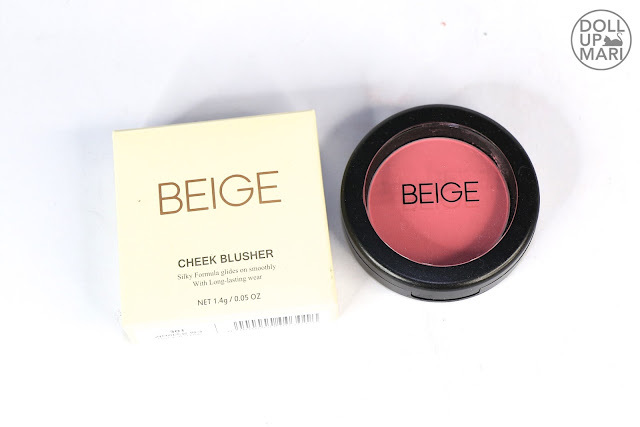 Yet another rare find in Korea is a purely matte blush. Normally I find most Korean blushes to be satin, not matte. And then there are plenty of glittery ones and borderline highlighter ones. So for the pressed type, this is a rare matte find. This shade is 301-Love Is You Pink, this lovely warm muted rose. I am so excited to use thisss. I got two lipsticks from them, too! 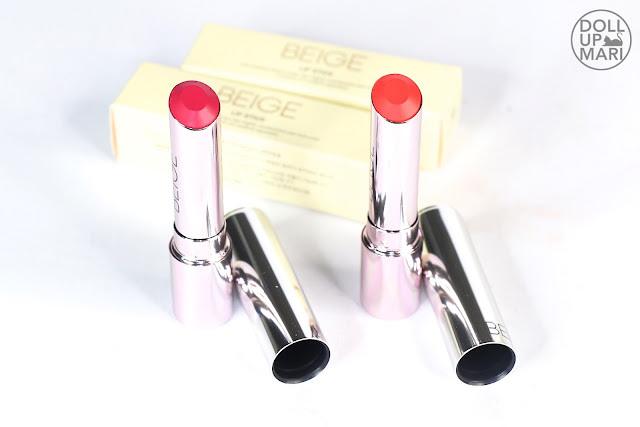 I wish I could explore their lipsticks in the future as these two shades are cute as they are but not necessarily the shades I'd naturally reach out for. Y'all know I'm a nudy pinks kind of girl. The fuchsia one is called Ambrosia while the chilli orange one is called Spirea. Last but not the least, I took home a hard finish wood eyebrow pencil in dark brown. 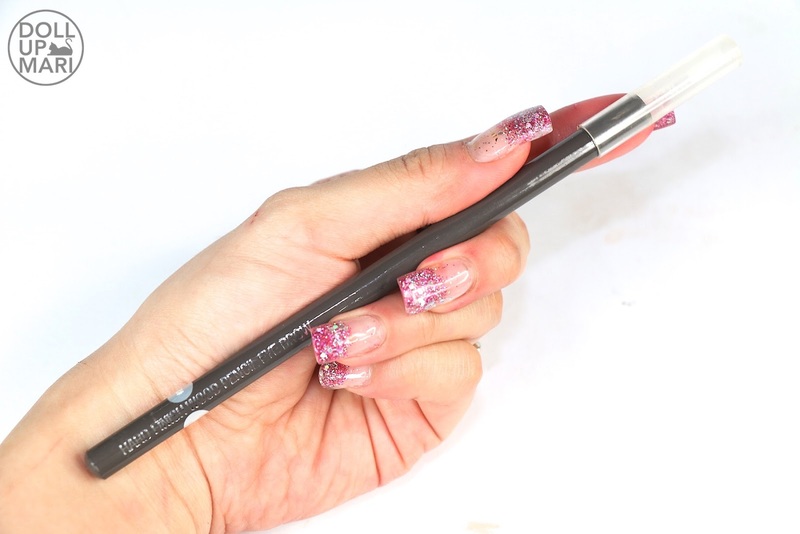 This is a favorite in Korea because as the name implies, it's a stiff pencil meant to deliver light strokes, to give a subtle enhancement to the brows. Do not expect this to be the pigmented things we like from the US. It has its own personality and has its own audience, and that's OK.